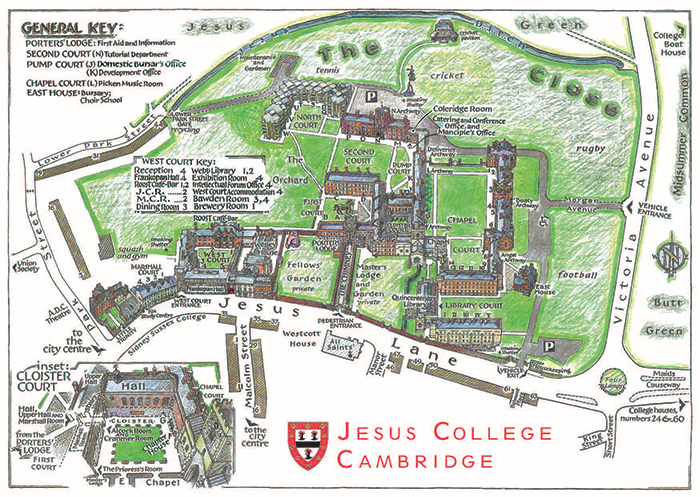 Jesus College is situated on Jesus Lane, a quiet side street in the centre of Cambridge. Visitors are welcome and are requested to report to the Porters' Lodge on arrival. You can find full travel and directions information here. A College map is below and a pdf download of the map is here. The College is on Google maps. For general enquiries please contact us via email or telephone or write to us at the address below. If you are looking for a specific department, please refer to the contact details under College departments and staff.